On a trip to Japan recently, I finally found just how immensely popular the Chinese classic Romance of the Three Kingdoms was in Japan. Naturally, it's not like you would bump into people on the street carrying the 800,000-word series with them or draining their cell-phone batteries as they read a digital version. Rather, the series has been converted into so many different entities—possibly more than the Monkey King tale—for so many different anime, manga, and video-game fans that it is likely has lost its identity. And that's pretty much just the (extreme) tip of the iceberg, as the classic has been also hugely successful in the video game market (The Romance of the Three Kingdoms wargame, Dynasty Warriors). 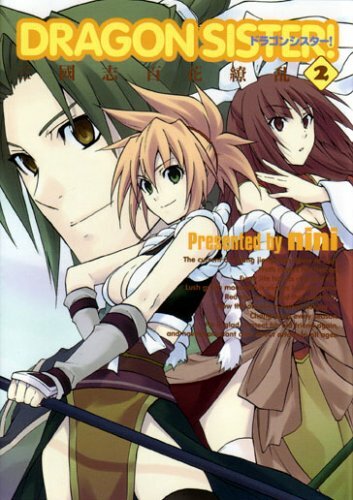 Granted, the scale of the story itself allows for different interpretations and ways to use the thousand or so dramatic characters, but the recent trend started by the likes of Ikkitôsen to revise the physical descriptions of the characters themselves through either reincarnation (Blade Sangokushi) or complete rewritings of the characters (Rampage, Dragon Sister! ), all while catering to more "fan service". Overwhelmed? 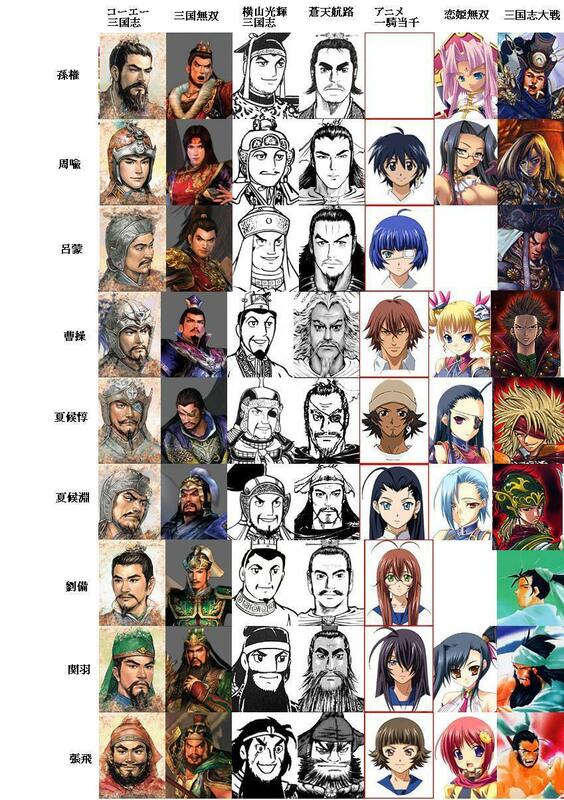 Just take a look at how different some of the characters in the major series appear. In fact, Ikkitôsen itself is finding new life in its "Xtreme Xecutor" series, but the general shift in momentum appears to be with the Koihime Musô series, another recycling of the series to cater more to the "adult CD-ROM" crowd. The franchise is already in its third animated incarnation, Shin Koihime Musō: Otome Tairan ("Maiden Battle"). Considering the show is in a third season, all three directed by Nobuaki Nakanishi (Kashimashi, work on Happy Lesson and Myself, Yourself), the success is a bit surprising. Jumping right into the Otome Tairan series, it appears simple to get the general gist of the show. The series takes place after the fall of the Han dynasty in Ancient China and is centered in the Shoku kingdom located in the west, where the warriors from the village of Touka, all of them of the female persuasion, have managed to return to daily life. The main protagonists—Kan'u, Chôri, and Ryûbi, three "sisters" who have bonded to protect the kingdom—have also resumed their training in the village, only to be presented with a new conundrum. A female general from one of their previous battles, Kashin, comes to the group asking for help, as she has been "arrested" by her commander and sentence to...turn into a cat. The situation causes the warriors to act, as they set out to seek ingredients in different parts of the country to cure Kashin and halt the false arrests. Luckily, the shows haven't involved the CD-ROM game's main male protagonist, and that allows for more normal interaction between the characters, but that doesn't exactly mean the situations are any less awkwardly sexual by nature. The entire first episode involves Ryûbi's sudden attention to her body, as she fears she's getting fat from lack of battles. Her hunt for food late at night leads to an upset stomach, and her moaning and wailing leads the rest of the village to believe she's pregnant with a baby. Ryûbi is hardly fat or even a little bit plump in the tummy. All of the self-examination, tummy pinching, and glances in the mirror will not justify that, as much as it is played out on the screen. This is a village of females. You would think they would know when someone looks preggers. A reminder: this is a village of females. Despite the visits from a few older men and boys, there is no one in the village who could have possibly knocked up our ditzy heroine, not even the big-chested tomboy. This situation goes about fifteen minutes, allowing for the rest of the show to focus on the nekomimi given to the once-tough Kashin. That's twenty minutes of fluff right there, and unless you have liked fluffy moe anime in the past, this probably won't be your thing. But that appears to be the thing—people HAVE liked this in the past. While the costumes are pretty flamboyant, possibly targeted at cosplayers, and just like the classic, there are characters by the dozen, it's hard to really see anything earth-shattering coming from the first episode. The original feel of Romance of the Three Kingdoms appears to have been diluted into the challenges appropriate for a side mission in a Super Mario RPG. There is just too much cuteness and sugar for a story based off of a story that inspired millions. I perhaps am being too hard on Otome Tairan without witnessing its previous plot, but it appears the show is merely borrowing the names and location in order to score points with historians and otaku, if not the subset of those two groups. The show probably merits a few more watches in later episodes, but at least Ikkitôsen had the sense to make all of their female characters fight to get their jiggle. Otome Tairan seems happy to just let warriors act more like women. Winter 2010 & Beyond: Durarara! !